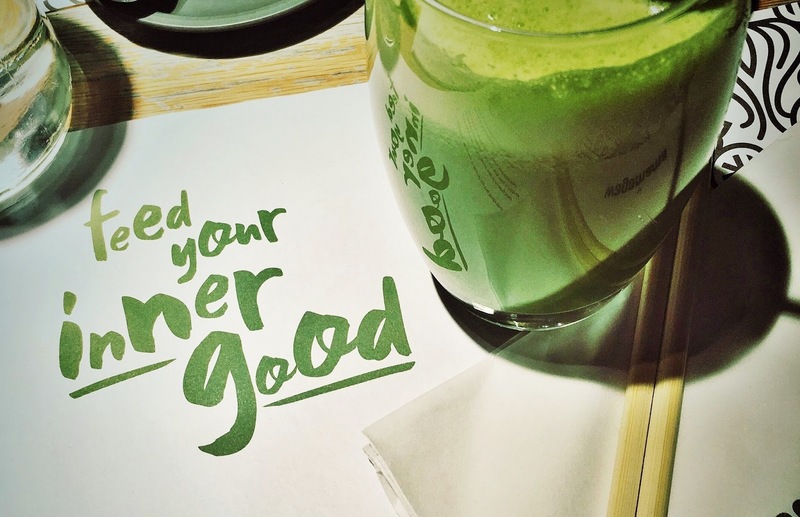 Feed Your Inner Good @ Wagamama! This month, two of my favourite things in life (Japanese food and talking about mental health) came together and I couldn't be happier. 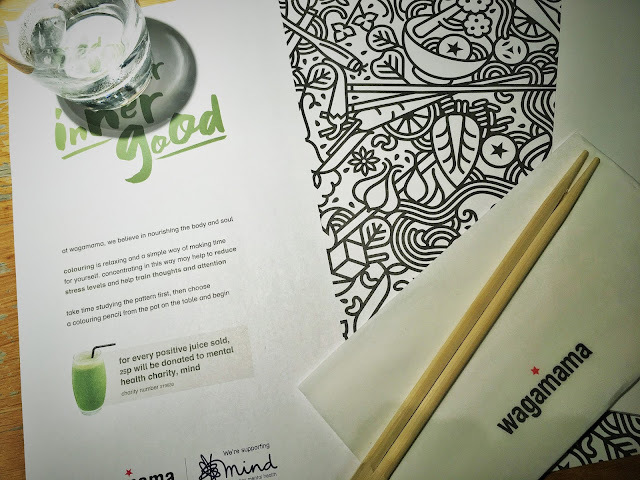 I visited Wagamama in Princesshay, Exeter a couple of weeks ago to talk about their current collaboration with the charity Mind - and of course a lot of delicious food was devoured in the process. As a Psychology graduate and also now a Psychology PhD student, mental health is something I am and have always been interested in, and I'm aware that Mind are a fantastic charity that provide invaluable resources and advice to so many people across the UK. Wagamama are donating 25p from every one of their Positive juices that they sell up until 6th March - AND they're delicious! The juice is made up of pineapple, lime, spinach, apple and cucumber and is super refreshing. All the ingredients are great to cleanse the body, as well as the mind. 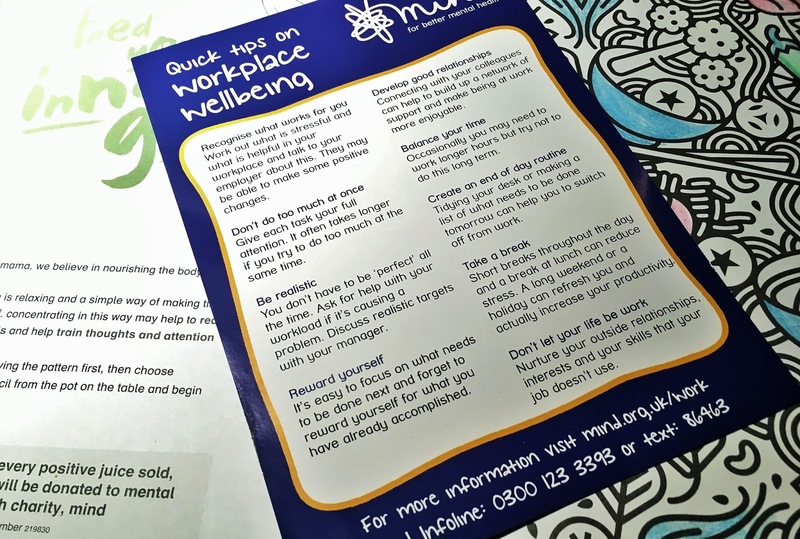 Wagamama are also promoting mindfulness and its benefits for improving mental health. Their paper placemats are the perfect canvas for some mindful colouring while you wait for your food. They are also supporting mindful eating - the act of being in the present and taking in and appreciating every single mouthful. During my visit, I tried the grilled duck donburi along with numerous delicious side dishes - my favourite side had to be the ebi katsu: gorgeous crispy fried prawns with a chilli sauce. The duck was also beautiful. I wanted to try something different from my usual ramen noodles and I was recommended the donburi, which was a great choice! I'll definitely be visiting Wagamama again soon and picking up a Positive juice to support Mind and the amazing things they do... and hopefully you will too!